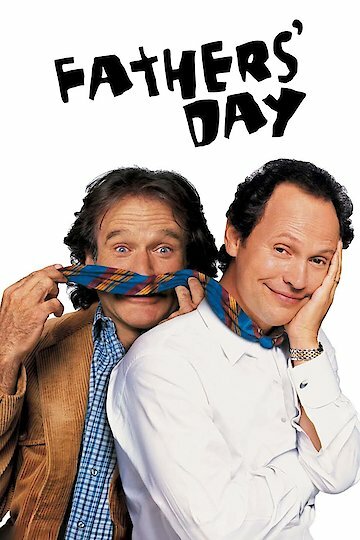 Father's Day is a movie about two men that believe they are the father of a former girlfriend's son. The two men are conned by the woman to help find her son. She tells each of them that they are the father of the young man. Each of the men begins their journey to find their missing son. During their adventure, the two men meet up and discover that they both have been told the same story by the woman. The men discover that their son is currently following a band to the city of Sacramento. They discover their son drunk and in love. Finally, the two men believe they can get the young man home safely to his mother so that they can discover who is his father. However, they wind up losing the boy once again and having to work together to locate him once again. The two men plot together to locate the young man once again and take him home. Fathers' Day is currently available to watch and stream, buy on demand at Amazon, Vudu, Google Play, iTunes, YouTube VOD online.